Have you ever wondered why a customer would choose to buy from Company A rather than from Company B even though there are no differences between their products? Or why you choose the phone you are using, when you could afford to buy others of the same capacity? The question also applies to the reason you choose to read this article and not disregard it and go take a cup of water, or just drop your phone and assume a default mode. We all base our buying decisions on the value we hope to get from every product or service. These values are directly or indirectly proposed to us by these brands and this is what marketers call Value Proposition. What exactly is value proposition? Value proposition is a positioning statement or promise of the value inherent in your product and services, and how it serves to make the life of the user better. A value proposition states what makes the brand unique and how it sets out to solve the problem the user might have. People won’t patronize a brand if they don’t know why they should listen to the brand, or if they don’t believe the brand adds value to their lives. 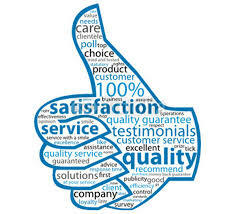 Value proposition is what makes your customers think you are the best option for them. And that goes beyond mere marketing, and it also isn’t something you achieve overnight. A value proposition isn’t about doing many things — except if your value proposition is about giving your customers variety — but about doing one thing so well that your customers have no choice but to come to you for it. But no Brand is regarded as unique or a market leader if they don’t have a problem they are solving. So every business needs to find a problem that is expedient, solve it and let people know they can do so. People generally don’t have the time to find out what you can do, so making them aware of your unique ability to solve one of their problems and make their lives easier is what your marketing should be all about. And even that isn’t enough. Showing them you can actually proffer solutions to these problems will be what will change their mind eventually. So how do you build a value proposition for your company? Are they (target market) dissatisfied with what is currently available? Is your product able to tackle their dissatisfaction? Is it enough to make them choose you over the competition? When developing your value proposition, the important thing is to find the core of it and pick out the one aspect that clearly makes you the preferred option and then run with it.